It’s all hands on deck for the final battle against the powerful entity who has been lurking underground and wreaking havoc on the entire city of El Paso. 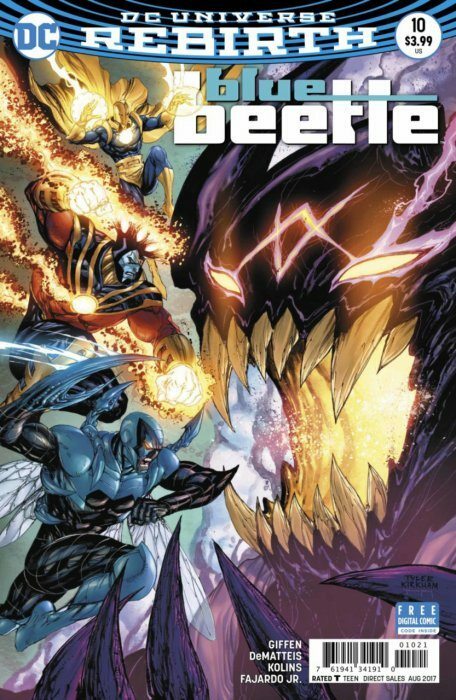 Will the combined efforts of a rejuvenated Blue Beetle, Ted Kord, Doctor Fate and even special guest star Omac be enough to bring down this ancient menace? The outcome will signal a major turning point for Jaime Reyes and his friends and allies.